Keith Thraen-Borowski, Ph.D., assistant professor of kinesiology and biology, and founder and director of CARES Lab. DUBUQUE, Iowa – Loras College and Medical Associates Oncology, in conjunction with Mercy Hospital, have launched a cancer clinical trial on the College’s campus. The Loras Cancer Research in Exercise Science Laboratory (CARES Lab) focuses on evaluating the relationship between physical activity, prognosis, and quality of life in cancer survivors. While encouraging, Thraen-Borowski said most interventions attempting to increase physical activity in cancer survivors are typically conducted at major academic institutions and/or comprehensive cancer centers. Yet, he said, nearly 90 percent of cancer patients aren’t treated at such centers but in community settings. Cancer survivors in Dubuque and the surrounding communities, he said, uniquely reflect the diverse backgrounds often associated with cancer, including those living in rural communities who typically don’t have access to treatment and programming at major cancer centers. “We are essentially offering a public health service to the cancer survivors in the community by providing them with tools to assist them in navigating some of the challenges associated with having cancer,” Thraen-Borowski said. 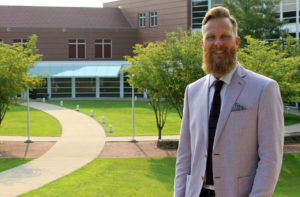 Thraen-Borowski and his team of students will test the hypothesis that offering a physical activity program for cancer survivors is both feasible in a community hospital setting and improve quality of life in cancer patients from the greater Dubuque area. Cancer survivors who are medically able to participate in a physical activity program will be identified and referred by Medical Associates Oncology staff. Once enrolled, survivors will receive an individualized prescription for activity by Thraen-Borowski, tailored to their cancer type, diagnosis, fitness level, treatment and quality of life challenges. 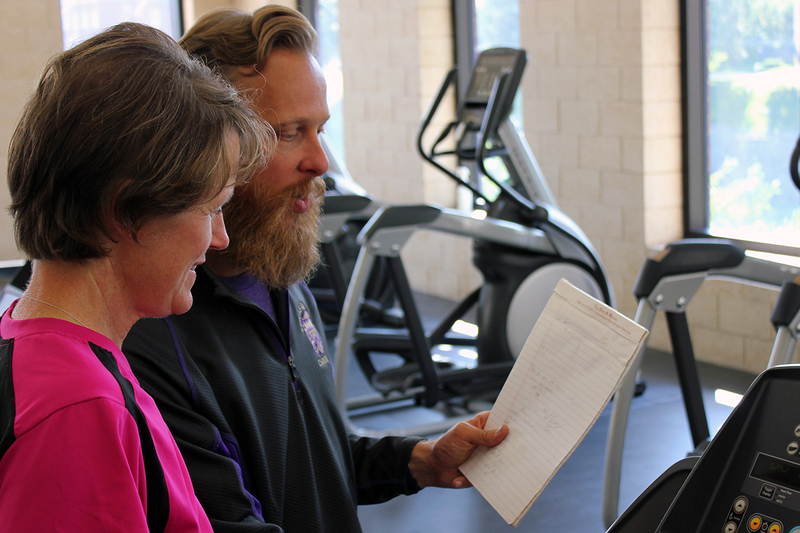 Participants then receive one-on-one supervision and feedback from student researchers from the CARES Lab inside Loras’ Athletic and Wellness Center. The student collaborators are integral to the CARES Lab and gain valuable research experience in data collection and analysis, as well as working with a clinical population. They are also involved in Thraen-Borowski’s study on the effectiveness of feedback from fitness tracking devices on sedentary behavior. Visit www.loras.edu/CARESLab or call 563.588.7215 for more information on the CARES Lab. Fellow, Research Methods in Supportive Oncology Workshop (NCI_R25), Massachusetts General Hospital/Harvard Medical School. “Karen Hornbostel Memorial Award,” Cancer Interest Group, American College of Sports Medicine. Numerous national presentations, invited talks, and published articles related to physical activity and health. Thraen-Borowski’s work has been featured on CBS’ Sunday Morning, Good Morning America, CNN, and in USA Today, the LA Times, and Reuters Health.